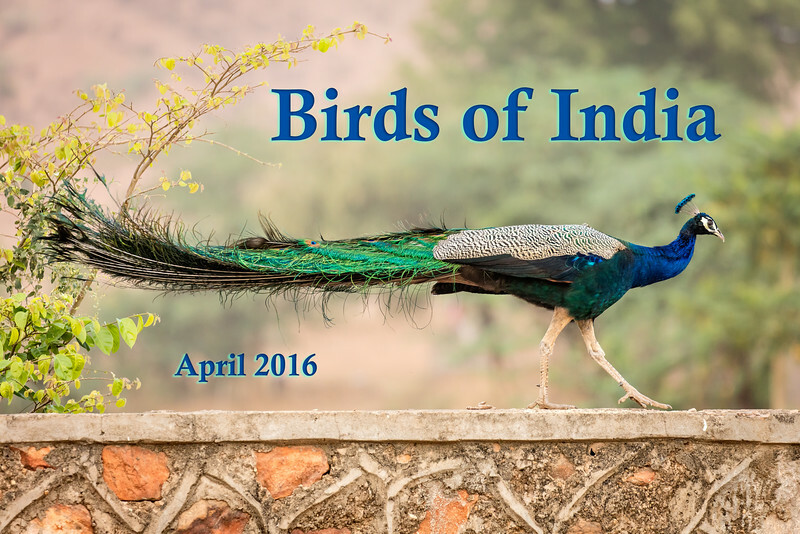 From the four national parks we visited in India here is a collection of 47 photos of birds selected from nearly 2000 bird photos taken. 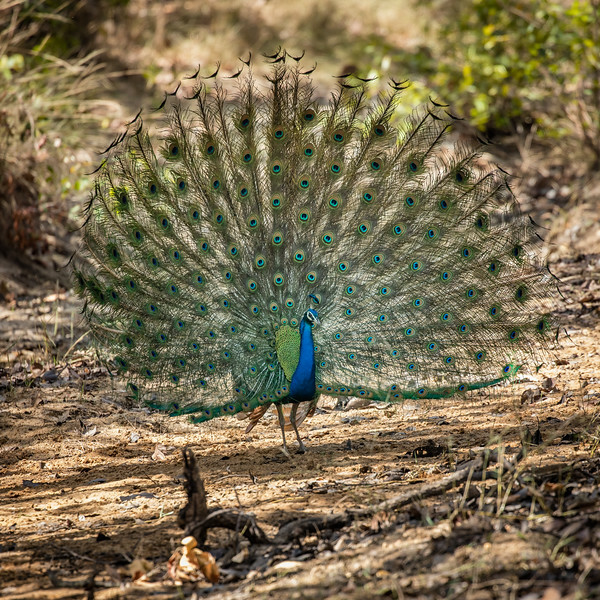 Peacock or Indian peafowl strutting along a wall. 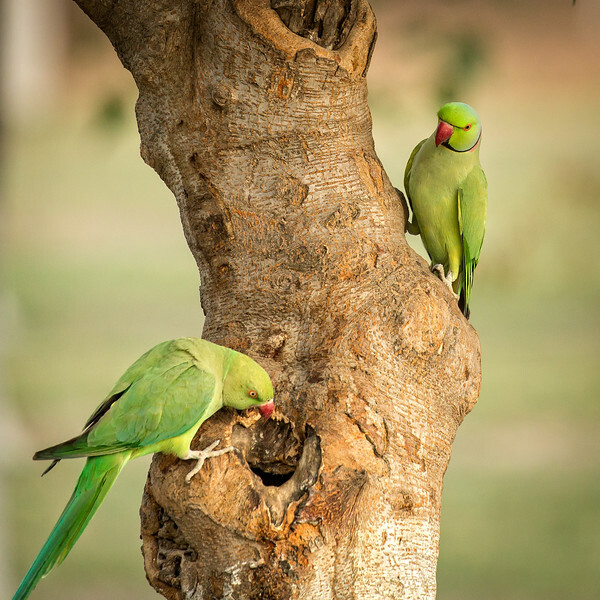 A pair of Indian ringneck parakeets exploring a possible new home. 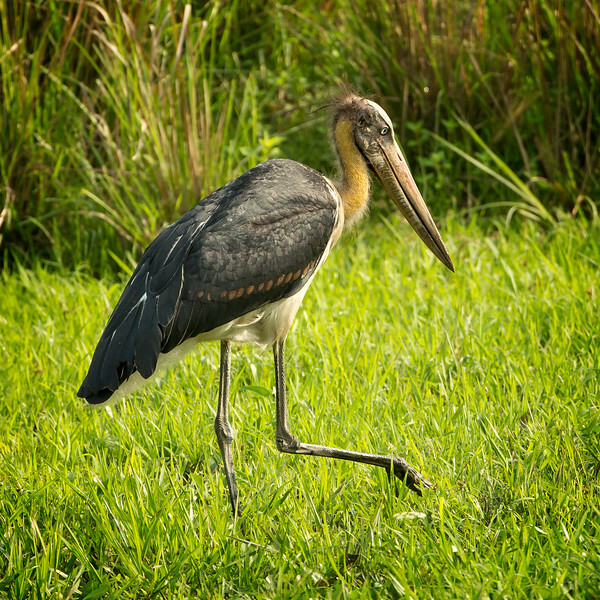 This large bird is a member of the stork family called the lesser adjutant stork. 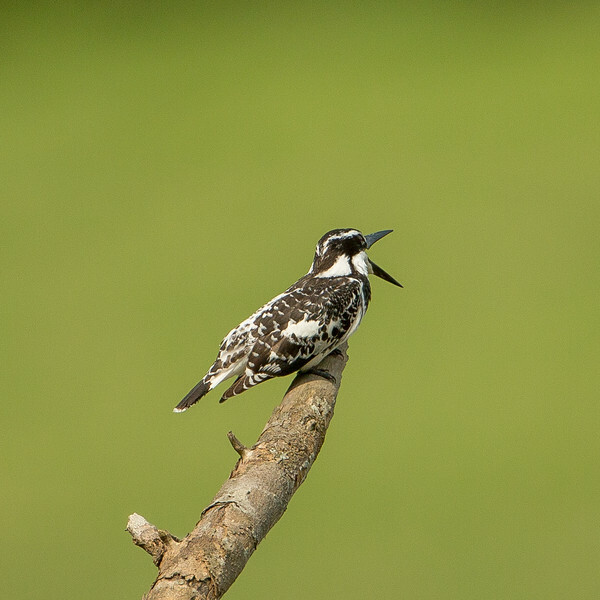 Flock of greater adjutant storks roosting on a huge mound of city garbage in Assam, India. 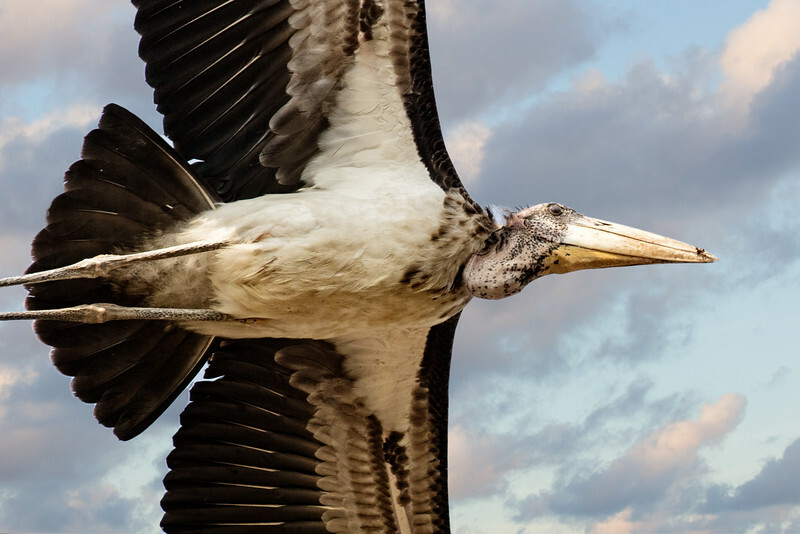 Greater adjutant stork in flight. 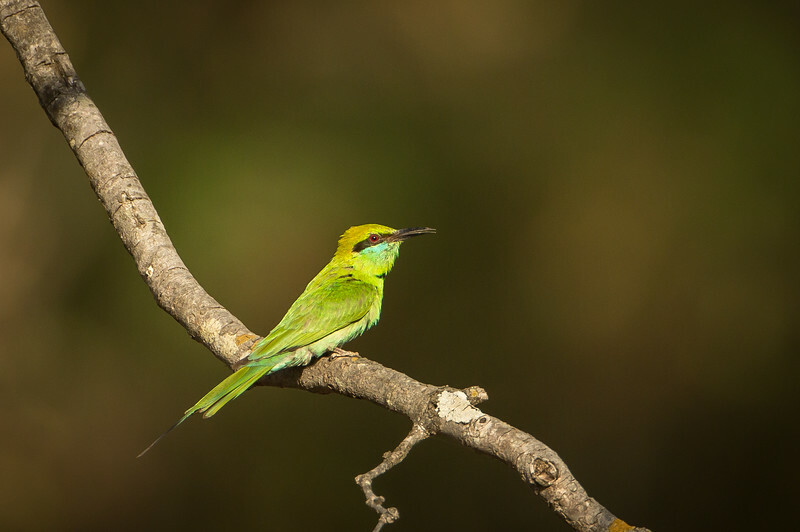 This rare bird has only two breeding grounds in the world, here at Assam and one in Cambodia. 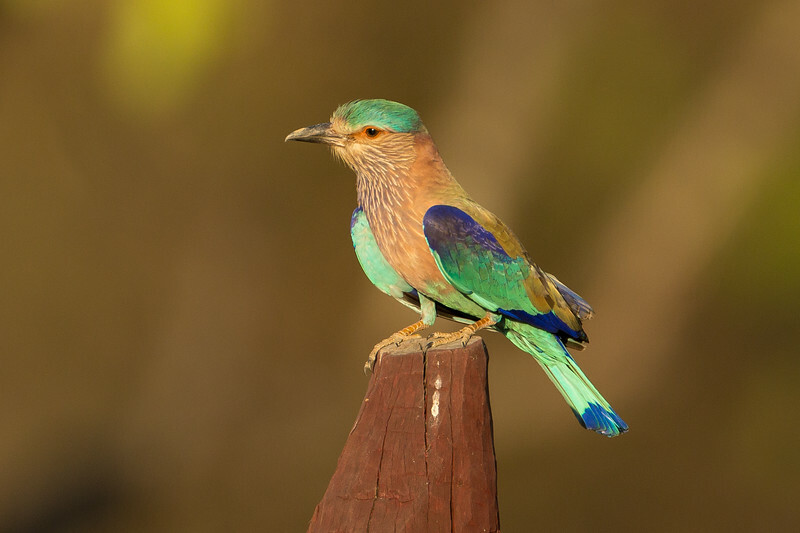 This beautiful bird is an Indian roller and looks much like the African lilac-breasted roller we've photographed many times. 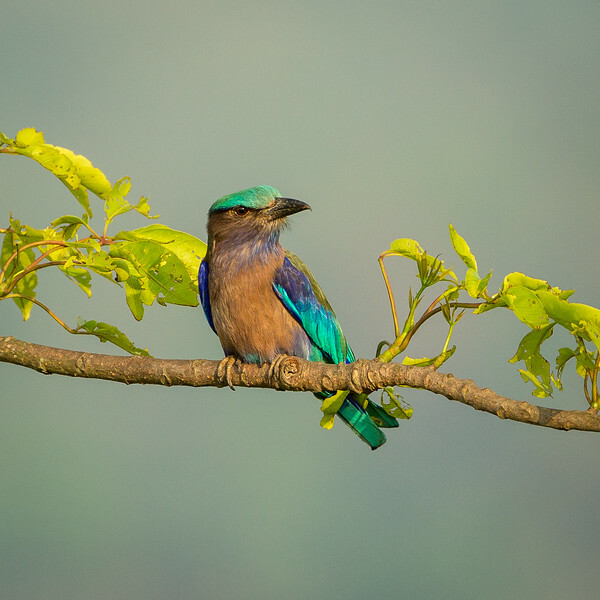 Indian roller in soft, late-afternoon light. 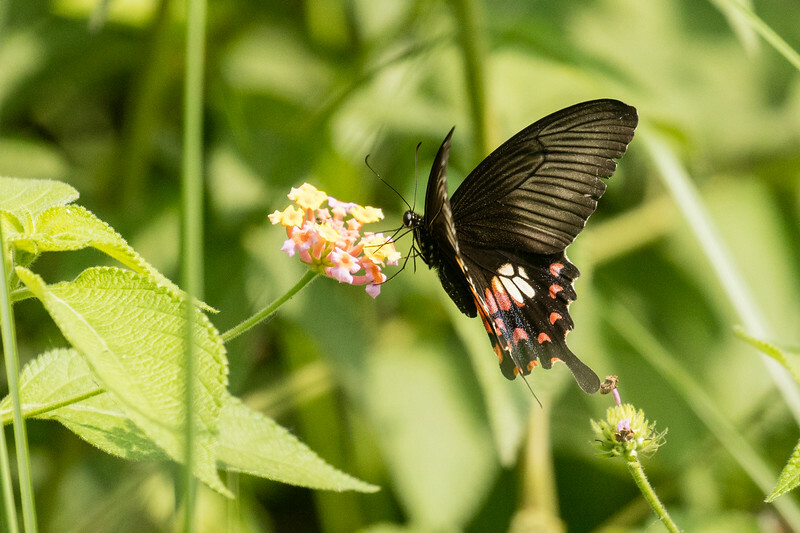 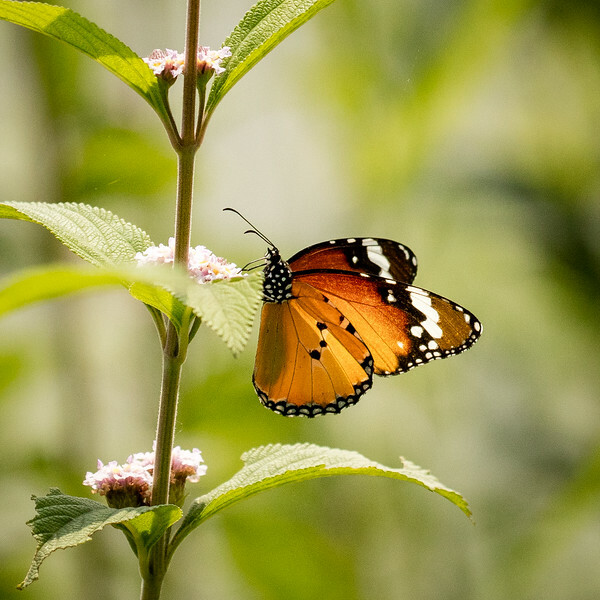 When we couldn't find tigers or birds to photograph we captured images of butterflies. 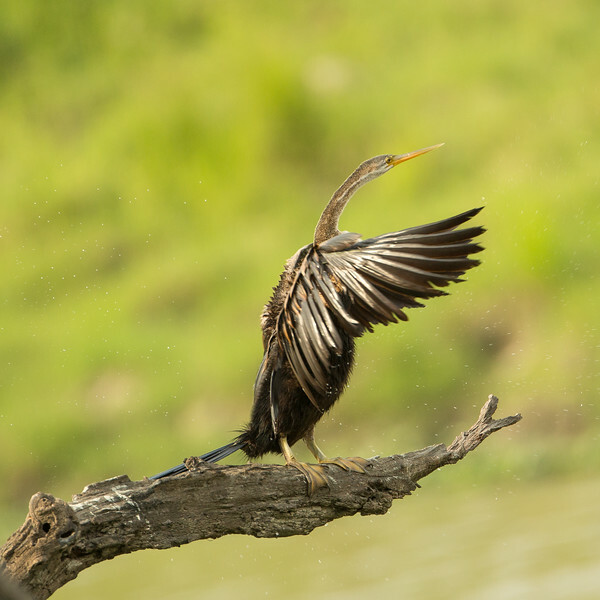 An Indian darter drying her wings. 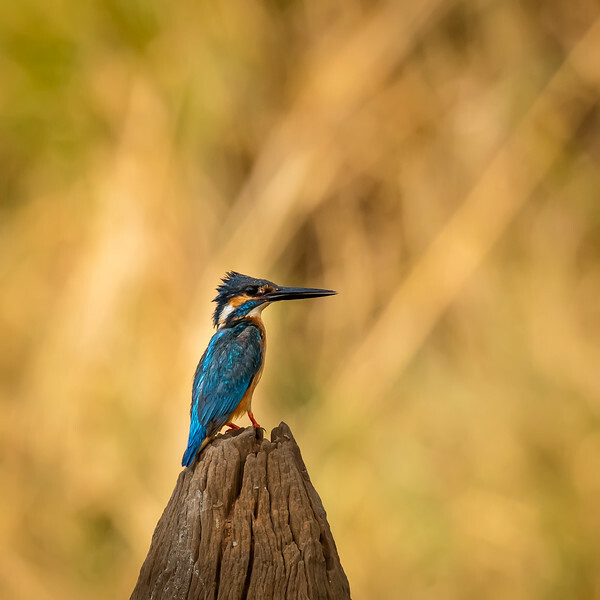 The darter is also known as an anhinga. 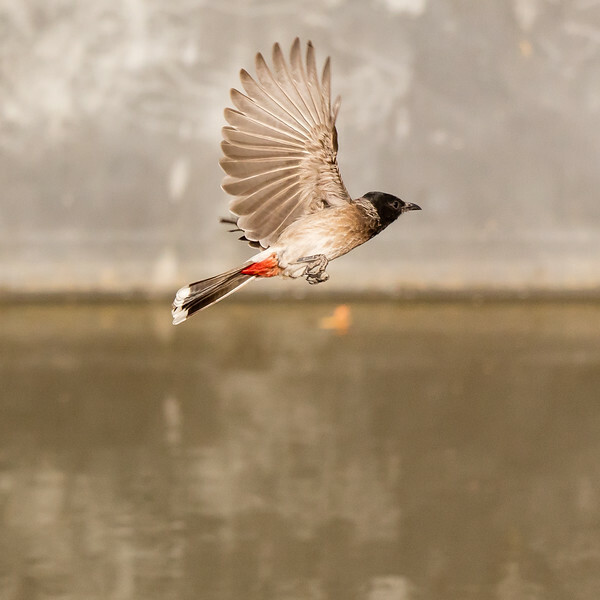 Red-vented bulbul photographed in Ranthambhore Tiger Preserve. 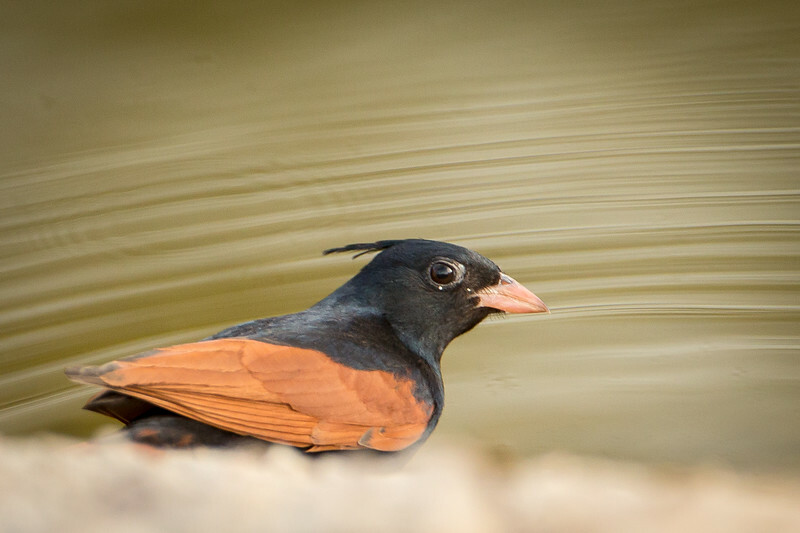 Crested bunting at a watering hole. 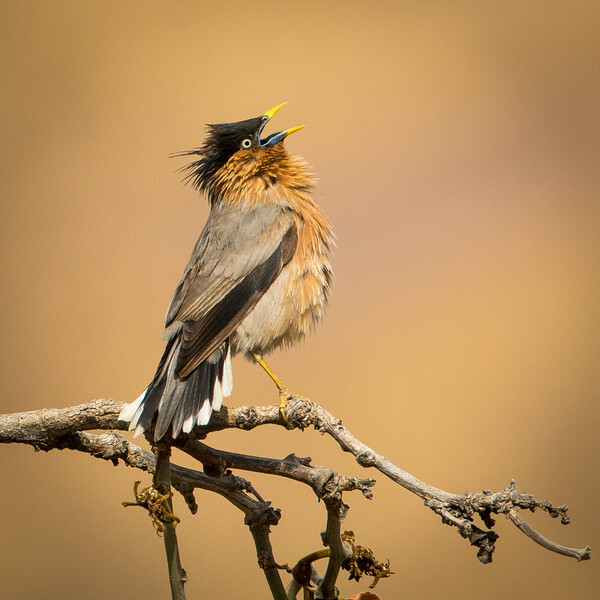 Brahminy starling calling for its mate. 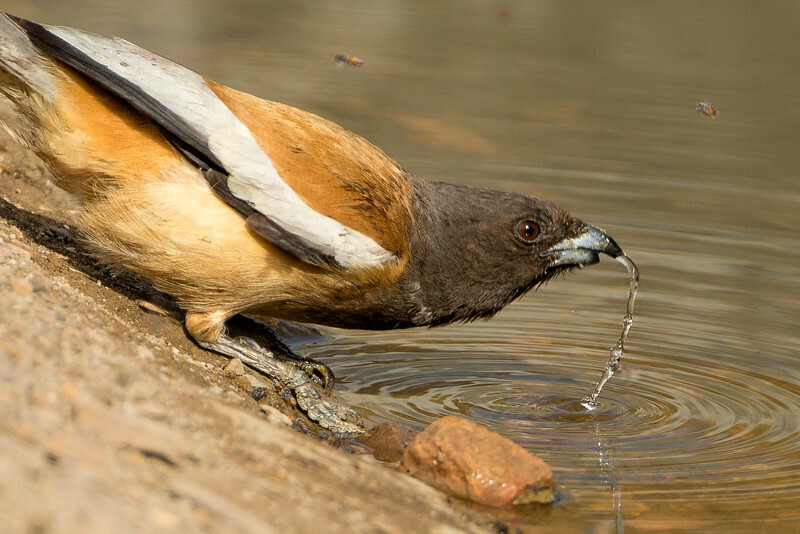 Rufous treepie slurping up water. 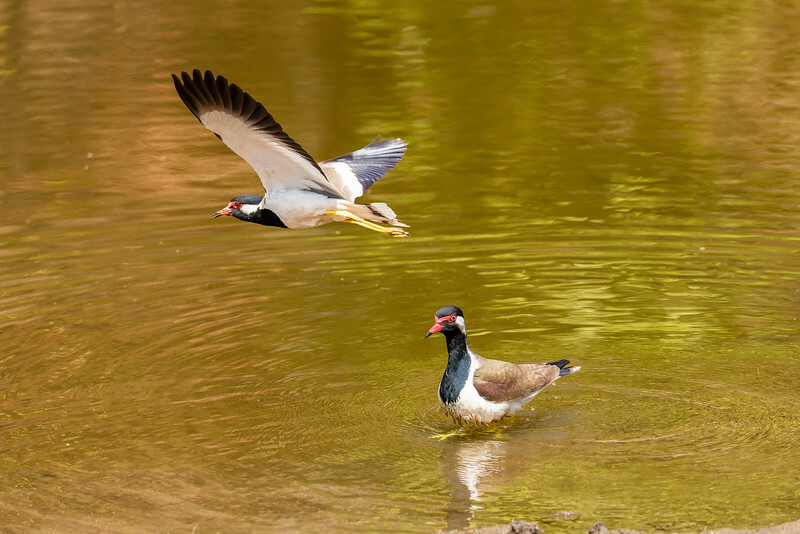 Red-wattled lapwings in Bandhavgarh National Park. 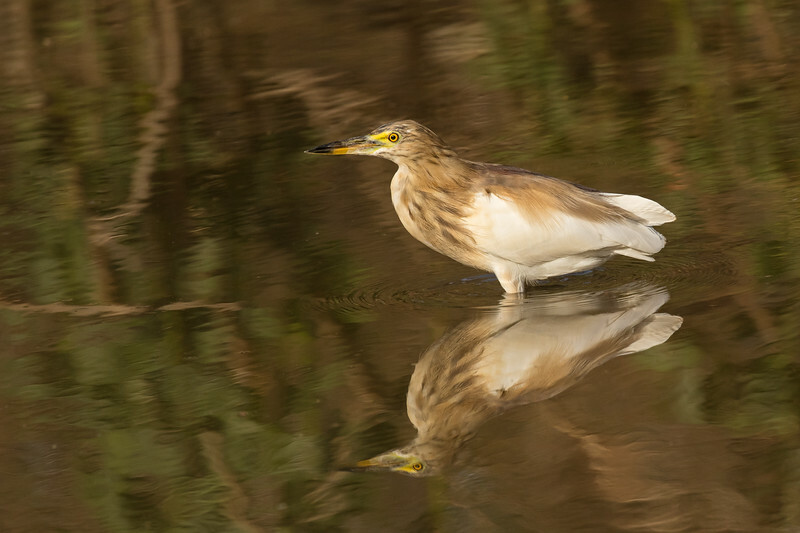 Yellow-eyed bittern reflecting on life. 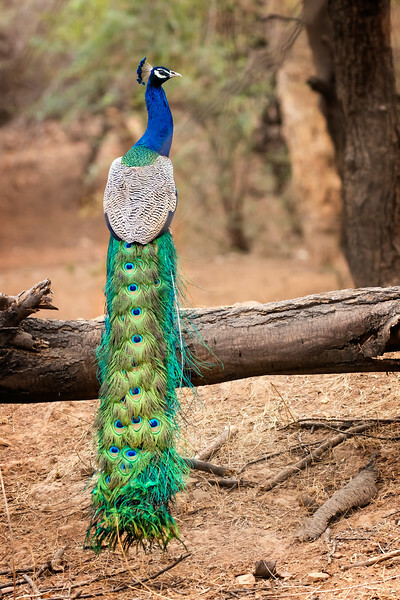 You can see why the peacock is India's national bird. 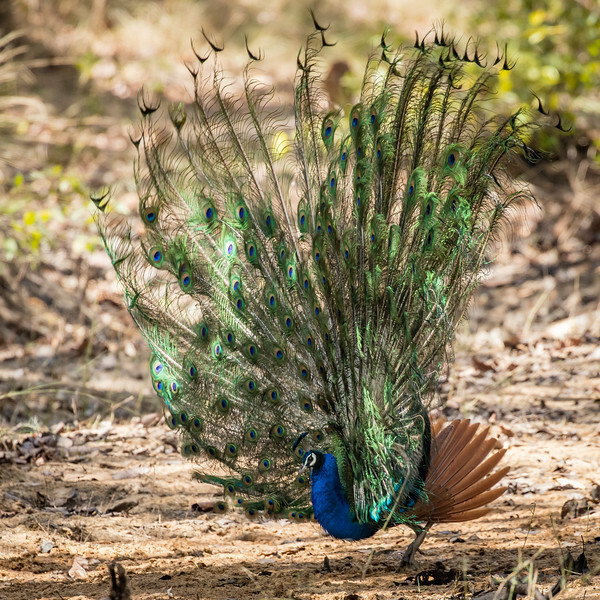 Male peacock displaying his feathers in an act of courtship to a female. 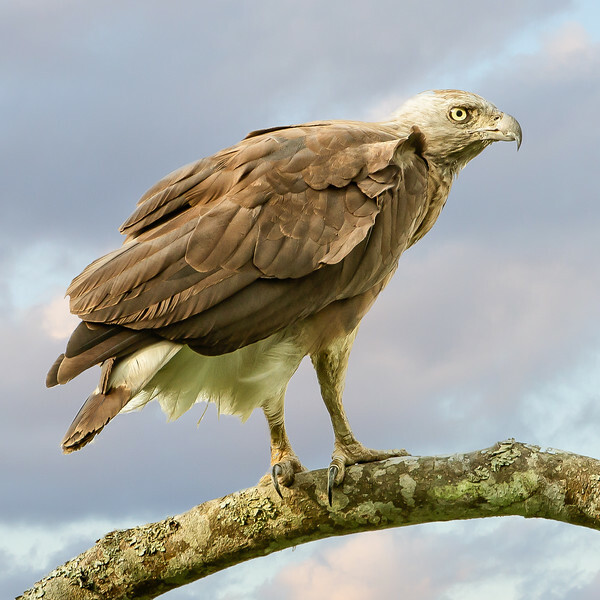 The female does not have these long feathers. 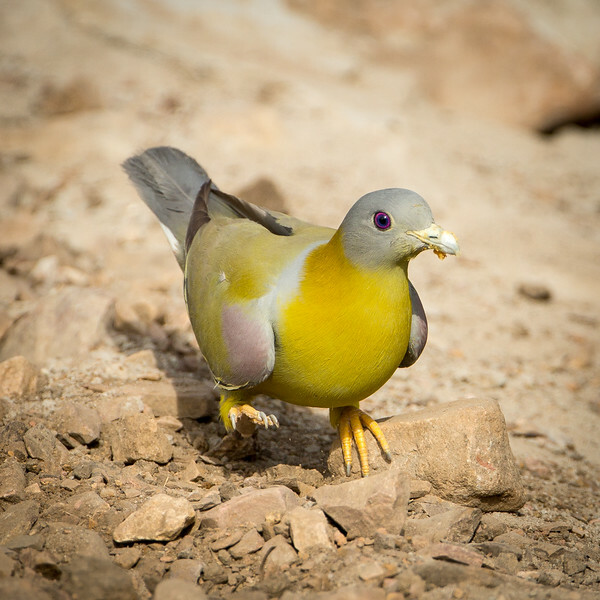 The male will turn and shimmer the huge fan of feathers to present his most appealing self to the female he is pursuing. 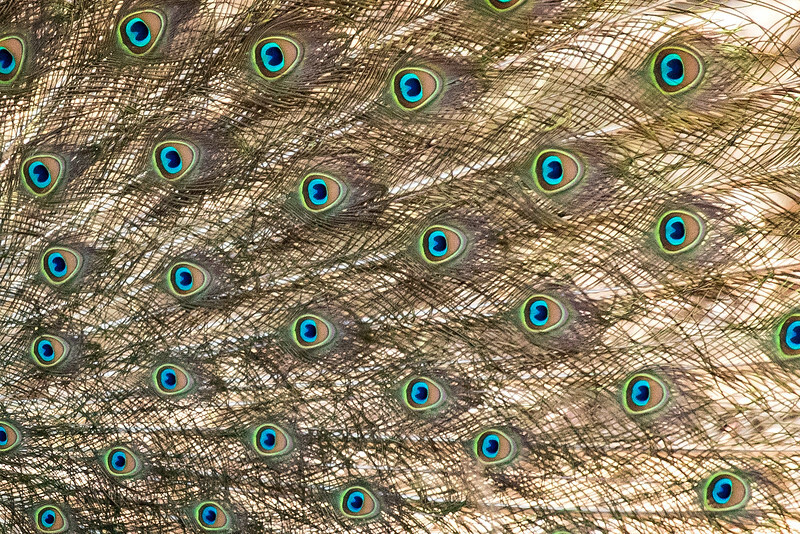 The "eyes" in the fanned feathers. 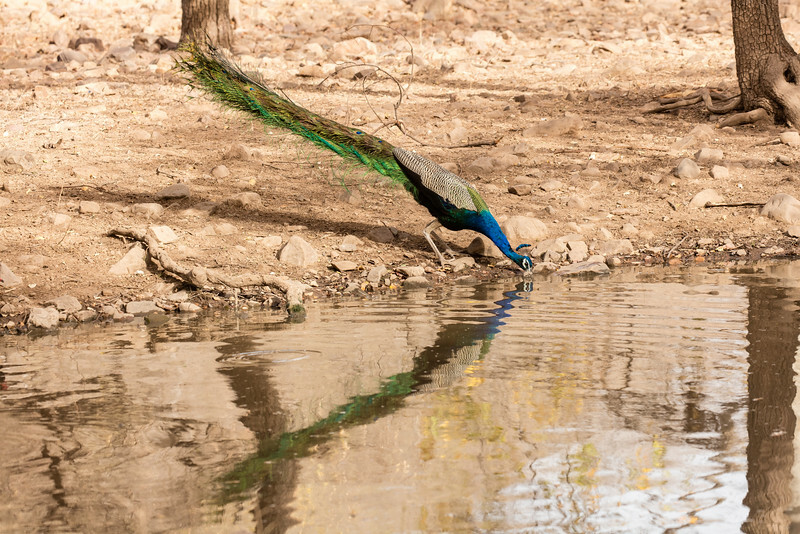 Peacock at the watering hole. 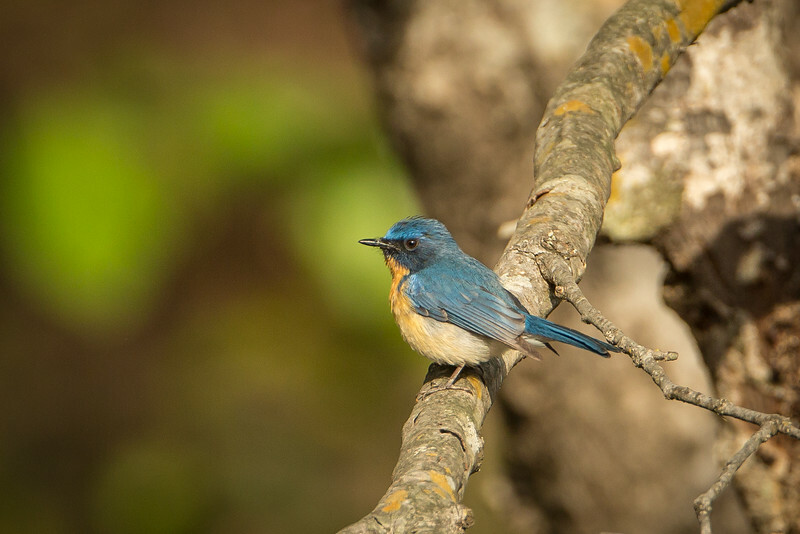 Indian blue robin in Bandhavgarh National Park. 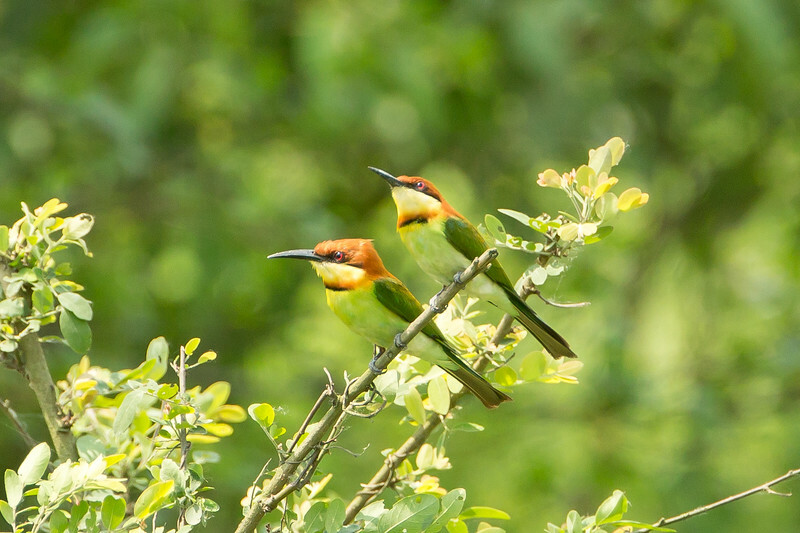 A pair of chestnut-headed bee-eaters in Kaziranga National Park. 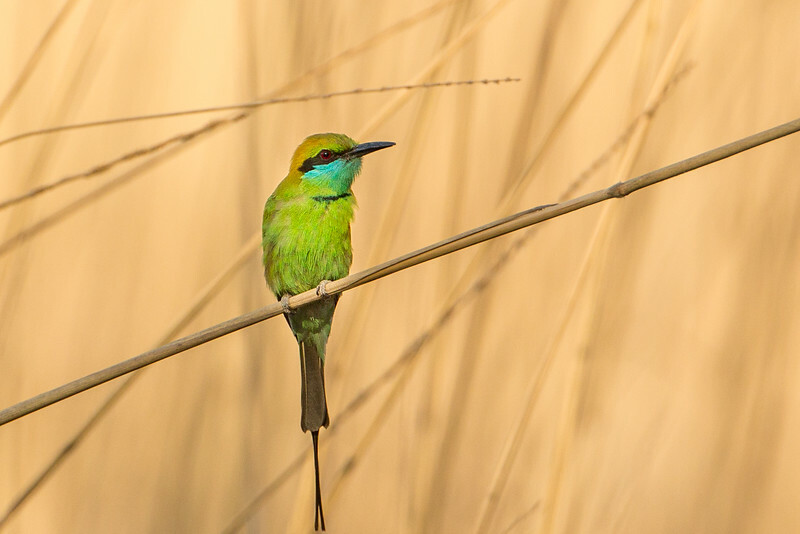 Another view of a blue-cheeked bee-eater. 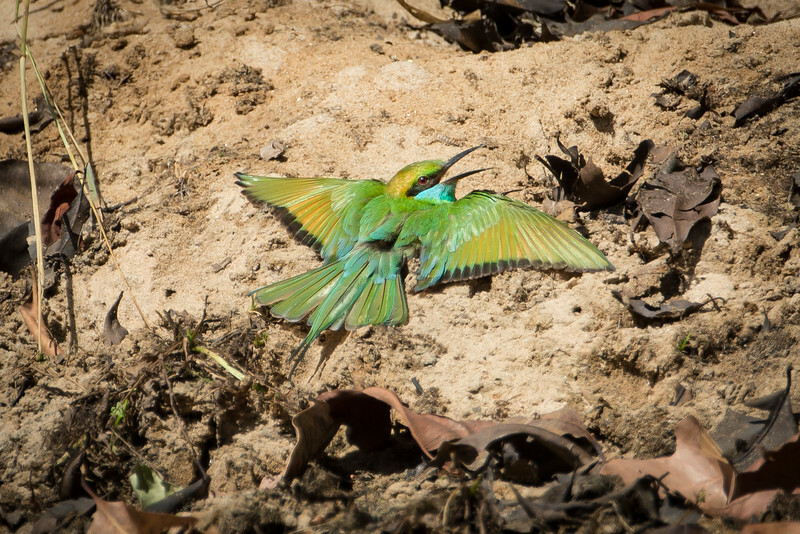 Blue-cheeked bee-eater sunning herself on the ground. 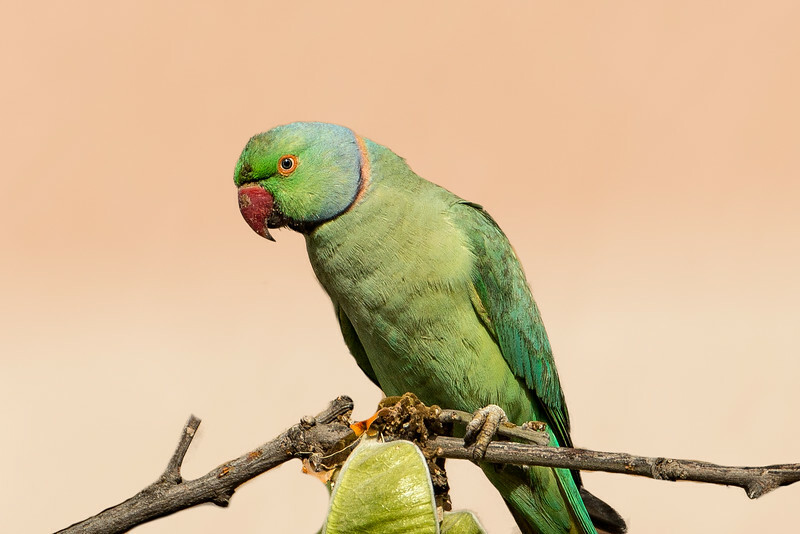 Exactly why birds do this is not clear. 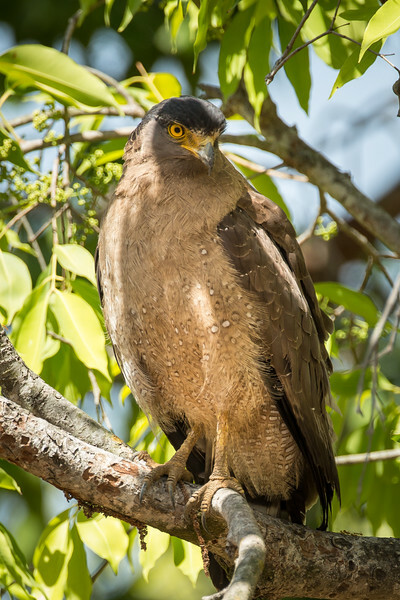 Crested serpent eagle who likes to feed on snakes. 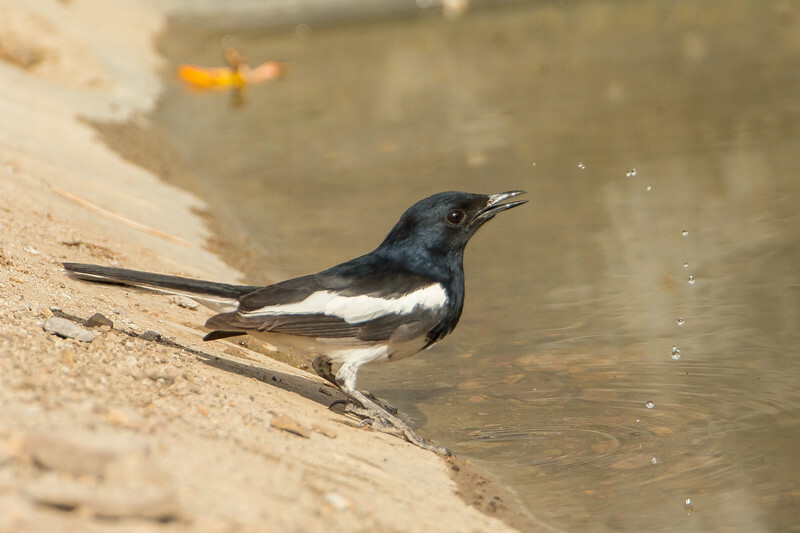 Menagerie of wildlife at a small watering hole in Bandhavgarh National Park. 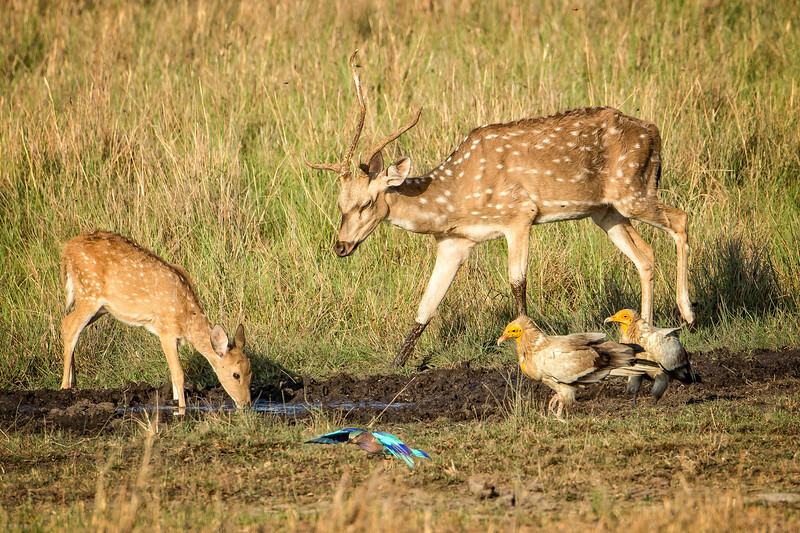 Spotted deer, a pair of Egyptian vultures, and an Indian roller. 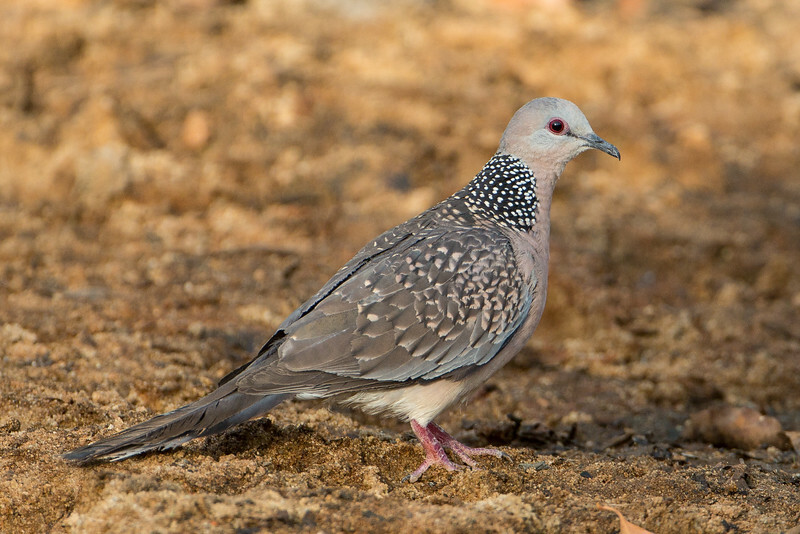 The common spotted dove, often ignored for more exotic birds, but is an attractive species in of itself. 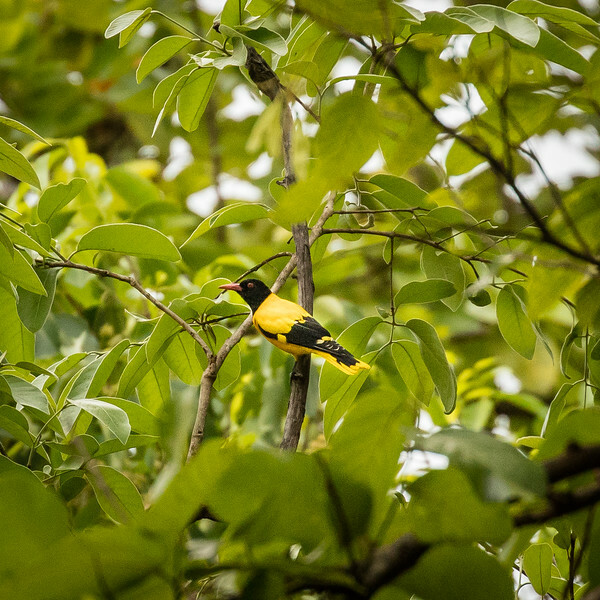 This is the first oriole I've photographed anywhere. 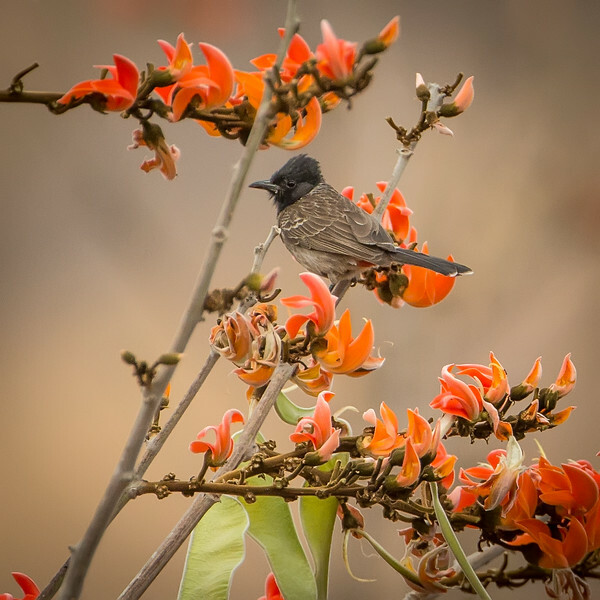 It's a black-hooded oriole. 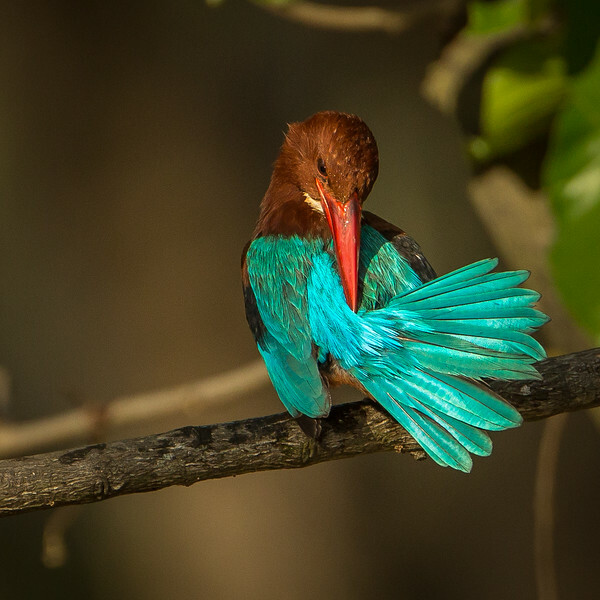 This is the odd-looking white-throated kingfisher. 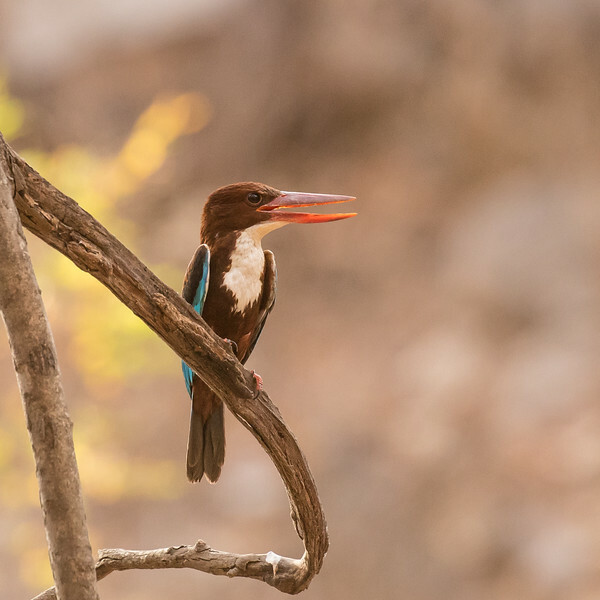 And from a different perspective the colorful white-throated kingfisher. 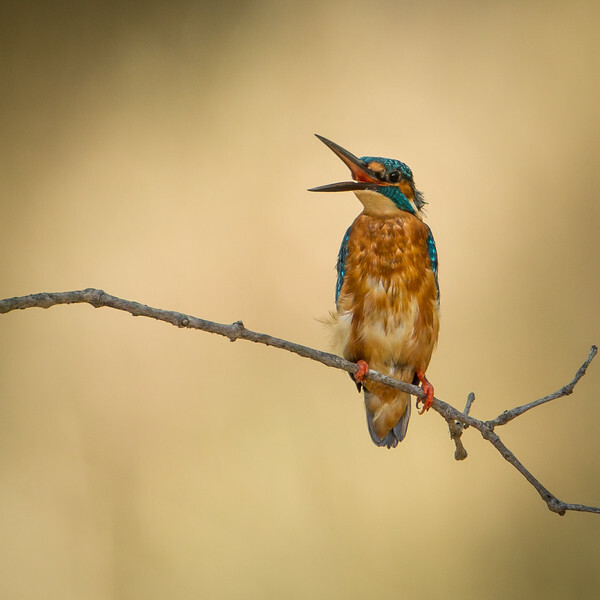 Another kingfisher, simply named the common kingfisher which we saw many of. 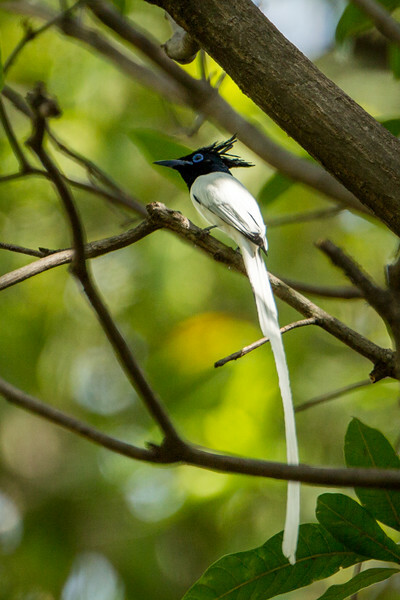 This long-tailed bird is called an Asian paradise flycatcher. 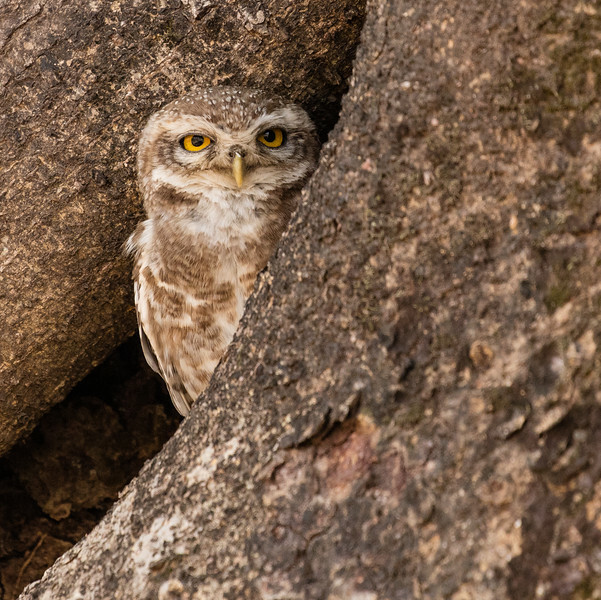 As we were leaving Bandhavgarh National Park we spotted this very small "spotted owlett" in the crack of a tree. 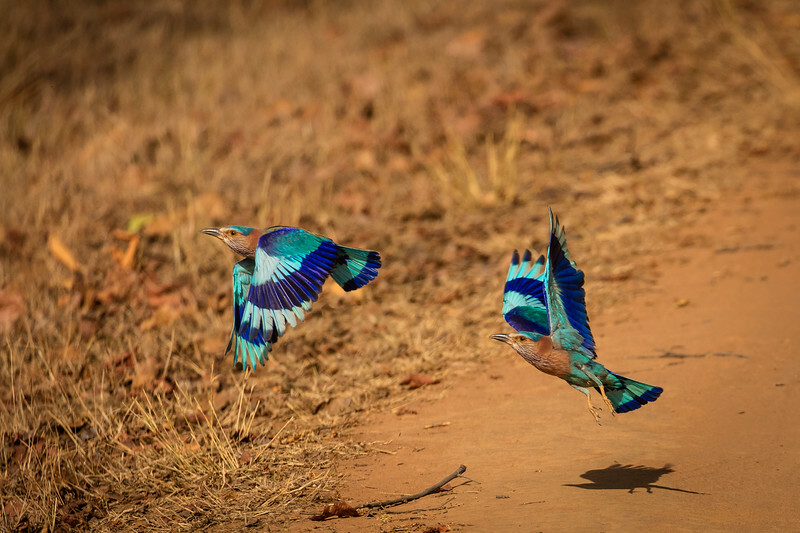 Pair of Indian rollers taking off. 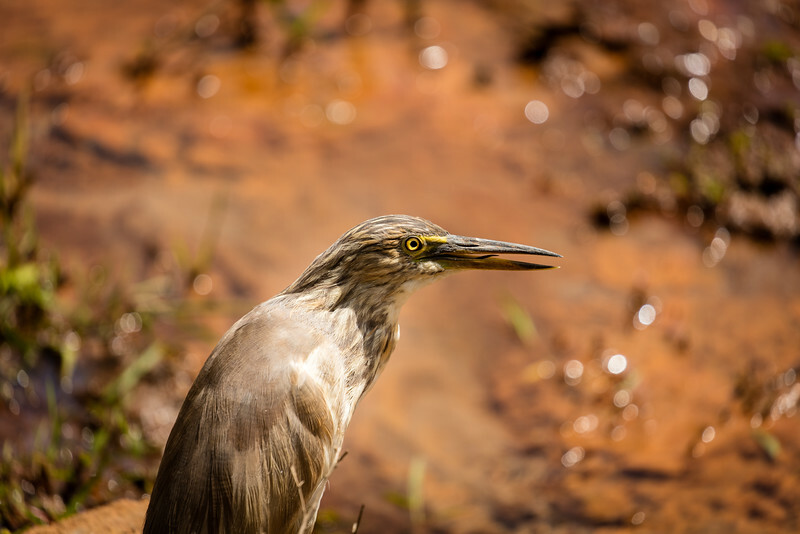 Yellow-eyed bittern patiently looking for a meal at the edge of a small pond. 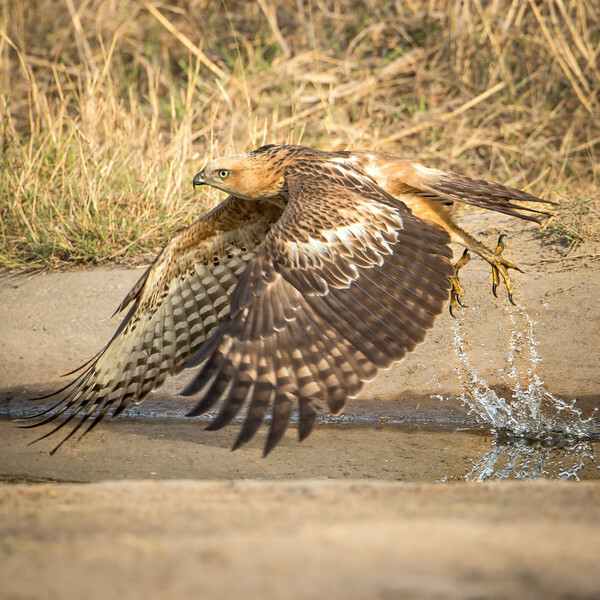 Tawny eagle leaving the watering hole. 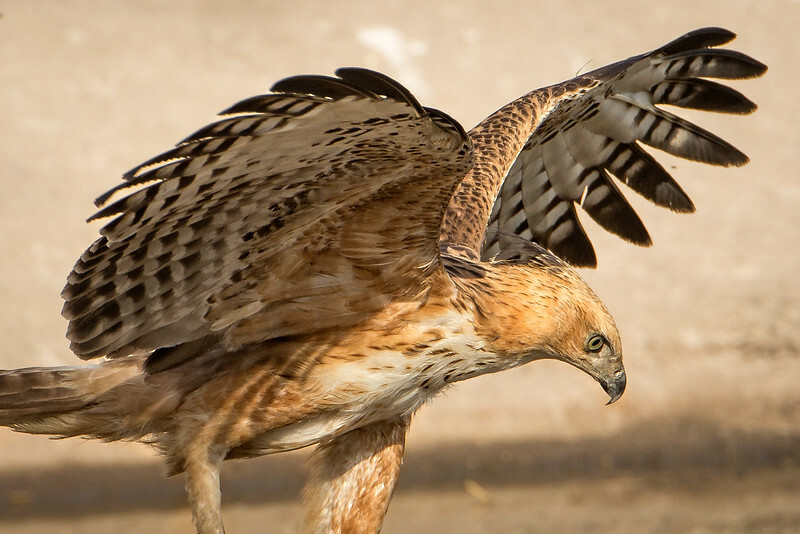 Tawny eagle about to pounce on a small rodent. 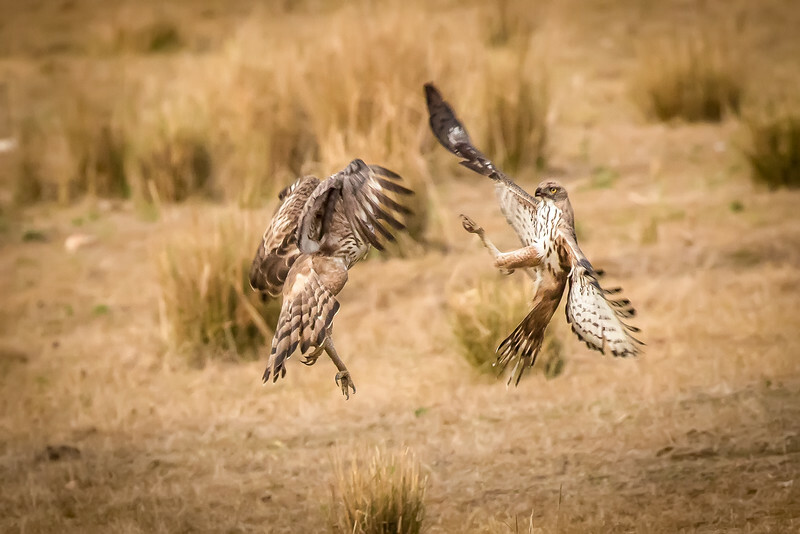 A jackal had momentarily abandoned the spotted deer it killed when two tawny eagles flew in and battled each other for the free meal.